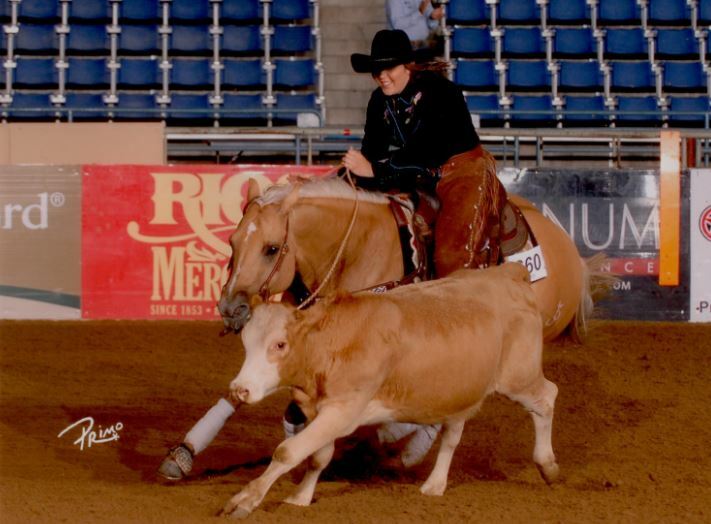 "Lamb Chop" was 2012 AQHYA Reserve World Champion Working Cowhorse with Morgan Holmes in the saddle. She has won over $22K in NRCHA earnings. She has now joined Quinn as Jay's first string heel horses. We are very excited to cross her on our Junior Stallions Junkyard Cat and Ima Downtown Cat.